Therapy to help people who have been victimized by someone with the intent to do harm. Abuse can be physical, psychological, sexual or verbal. Treatment to help overcome physical or psychological dependence on alcohol or drugs, or behaviors such as gambling, that have potentially harmful consequences. This treatment may be in conjunction with help for any psychiatric disorders that may be present. Therapy tailored to families and parents of adopted or foster children and adolescents. Treatment focuses on attachment issues, trauma-related background, child and family adjustment, cultural integration and development for blended families. Treatment for anxiety or depression resulting from acute stress. Behavior modification that addresses the impulsive or destructive expression of anger that may lead to violent behavior. Help with psychological and physical symptoms of acute or chronic anxious feelings, separation anxiety and fear/phobias. One of the most common childhood disorders that can last into adolescence and adulthood, with symptoms including difficulty in staying focused, paying attention, managing impulses and often, hyperactivity. A spectrum of disorders that are characterized by impaired communication and social interaction, restricted interests and repetitive behaviors. Treatment includes individual and group therapy focused on socialization behaviors. Therapy for the treatment of obesity, including pre-surgical evaluation and post-surgical therapy and support, all in close collaboration with the surgical team. A pattern of uncooperative, argumentative and hostile behavior toward authority figures that is disruptive to daily living. Treatment for clinically significant periods of depression alternating with euphoria, accompanied by impulsivity, sleep disturbances, changes in energy and at times, suicidal thoughts. A diagnostic evaluation used to assess alcohol and drug dependency/substance use disorder. A wide array of clinical services specifically for children, adolescents and their families. 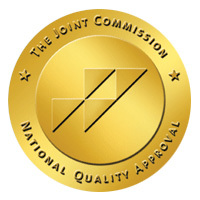 Common issues include: Attention Deficit-Hyperactivity Disorder (ADHD), disruptive behavior problems, anxiety disorders, depression, suicidality and self-injurious behaviors, social skills, Autism spectrum disorders, grief and loss, divorce, learning disabilities/school issues, family discord and medication treatment when appropriate. Treatment begins with a comprehensive evaluation of the child’s needs, strengths and family background. Treatment goals that are specific and measurable are then developed in collaboration with the child and family. Support and intervention to help couples recognize difficulties and collaborate on communication and problem-solving. Evaluations conducted by a mental health professional to determine the best interest of all parties involved in the legal process of child custody or guardianship. Services aimed at assisting clients experiencing neurocognitive disorders including dementia. Treatment may focus on cognitive stimulation, behavioral interventions, independent living skills and family support. Treatment for symptoms such as low motivation and energy, persistent feelings of sadness and hopelessness, low self-esteem, changes in sleep or eating patterns and possible suicidality. Treatment for mental health issues related to developmental disabilities such as intellectual disabilities, impaired functioning or other neurological conditions. Tailored specifically for those seeking services related to race, culture or ethnicity. In some specific cases, bilingual services may be offered. Severe disturbances in eating behavior or extreme obsessions about body weight or shape. The two primary types of eating disorders are anorexia nervosa (a compulsive pursuit of thinness) and bulimia nervosa (recurrent binge eating followed by purging). Support and intervention tailored to the family system as a collective unit. Family therapy often involves treatment for conflict resolution, parenting skills, increased family functioning and coping skills for other family-related concerns. The forensic psychiatrists and psychologists at PsychBC interface between mental health and criminal and civil law, assisting with criminal proceedings, civil commitment, Workers' Compensation and personal injury evaluations, malpractice and Federal court cases. Treatment and therapy for older adults. Specialized care may focus on transitions of aging, family support, memory loss, coping with health issues and independent living skills. Therapy to teach coping skills for the emotional response to bereavement and loss. Assessing difficulties in listening, language, reading, mathematics, motor skills and intellectual weaknesses that interfere with a child’s ability to effectively learn. Therapy and support for lesbian, gay, bisexual and transgender members of the community. An assessment by a medical professional resulting in the prescription of medication to assist in the treatment of psychiatric symptoms, coupled with ongoing care and monitoring. This is done in close collaboration with any other mental or physical health care providers. Treatment for mental health issues including anxiety, depression, family, intimacy, parenting, relationships and stress as they specifically relate to men. Assessment and treatment of individuals with brain injury or impaired brain function. Treatment administered by a registered dietician or nutritional counselor for special consultation involving food choices and habits, dietary interventions and nutritional coaching. Dietary counseling can be especially helpful for those with diabetes, weight loss or gain, high blood pressure or other medical conditions. Therapy to reduce recurrent, unwanted thoughts that produce anxiety and repetitive, irrational behaviors associated with this anxiety. A therapeutic, activity-based treatment incorporating practical, concrete skill building for lifestyle independence, related to life habits such as daily living skills (bathing, grooming, feeding, medication management, health management), instrumental activities of daily living (community coping, home maintenance, money and time management, hobbies, social skills, work and study skills), assertiveness, breathing exercises, guided imagery and stress management. Behavioral therapy that can help reduce acute or chronic pain, including relaxation training and stress management, and for coping with chronic medical conditions. Treatment for episodes of acute anxiety that usually include physical symptoms such as shortness of breath, stomach and/or chest tightness and rapid heart rate. Education, counseling and support for development of parenting skills, including behavior modification, discipline and managing parenthood and family challenges. Maladaptive and rigid patterns of thoughts, emotions and behaviors that affect the person's ability to have a fulfilling life and healthy interactions with others. Treatment to help overcome intense or irrational fears such as social or performance anxiety, or specific panic triggers like flying or leaving a familiar safe area. Services specifically for women experiencing symptoms of depression following the birth of a child. Treatment and therapy may focus on modifying mood swings, feelings of stress, changes in sleep patterns and overwhelming thoughts or fears. Therapy for those suffering from the aftermath of exposure to a terrifying incident that has caused or threatened physical harm, who are now experiencing persistent and excessive anxiety, worry, fear and/or avoidance of specific events or circumstances. Treatment can include teaching coping skills, deep muscle relaxation and deep breathing exercises, Eye Movement Desensitization Reprocessing (EMDR) and medication if appropriate. Medication management for those experiencing loss of touch with reality, such as hearing voices and seeing visions that others do not hear or see (hallucinations) or experiencing irrational fear of being harmed or persecuted by others (paranoia). Also included in treatment is therapy to develop coping skills and healthy social interactions. Treatment for depression that appears primarily during the winter months and abates during spring and summer. Depending on individual symptoms and needs, a treatment plan may include bright light therapy, regular focused exercise and medication. Therapy for intimacy issues related to sexual dysfunction, emotional strain, couples counseling and other physical or emotional sexual disorders. Behavioral therapy that can help reduce or treat sleep problems through treatments such as relaxation training, cognitive therapy, stimulus control and anxiety-reduction techniques. Instruction and training for children and adults to help build the skills we use to communicate and interact with each another. Therapeutic treatment involving spiritual-based techniques often including prayer, journaling and spiritual guidance practices. Identification of healthy ways to manage and cope with stress. The use of specialized tools to gain information about intelligence, academic achievement, personality, perceptual motor skills and other functions. Test results are individually analyzed and interpreted by a psychologist. Therapy services for those seeking help for either gradual or abrupt life transitions such as changes in marriage, career, health, development stages or other life processes. Treatment for children and others whose performance does not match their potential to learn and succeed. Therapy and treatment related to weight loss and maintenance through practices such as behavioral modification, acceptance theory, motivational skill building and stress reduction. Treatment for mental health issues including anxiety, depression, family, intimacy, parenting, relationships and stress as they specifically relate to women. Also included are issues related to pregnancy, premenstrual mood changes and perimenopausal issues. Assistance for coping with job-related pressures, stress and anxiety, and/or lack of job satisfaction.